Indian Chestnut, Bloodwood, Lignum Vitae & African Ebony. 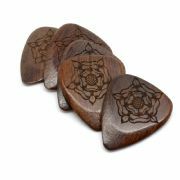 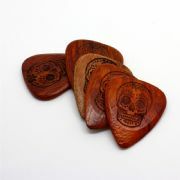 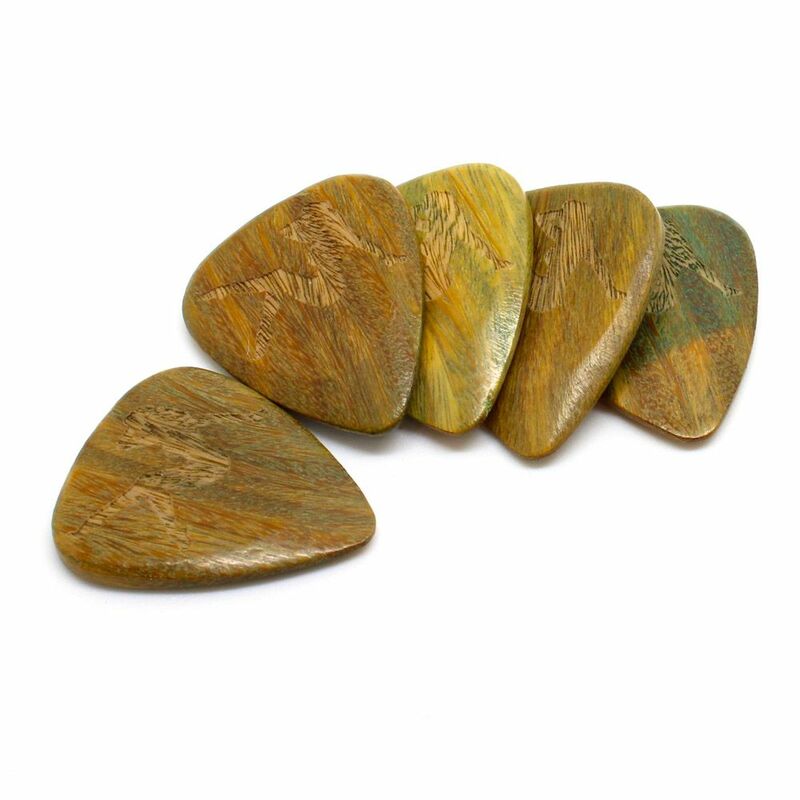 Bloodwood is a very hard timber, which polishes to a mirror like shine making it ideal for Electric Guitar. 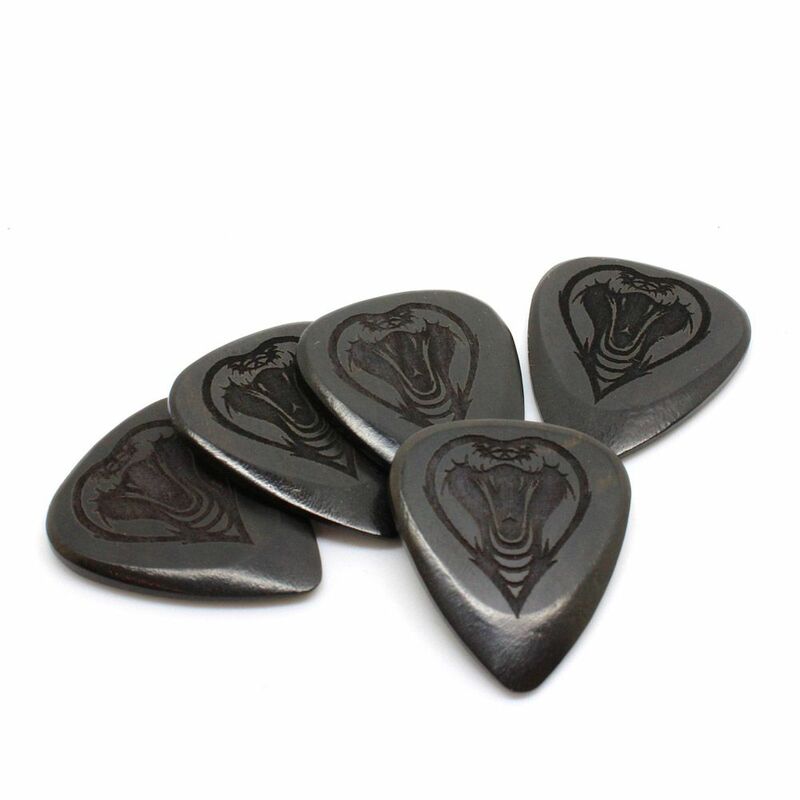 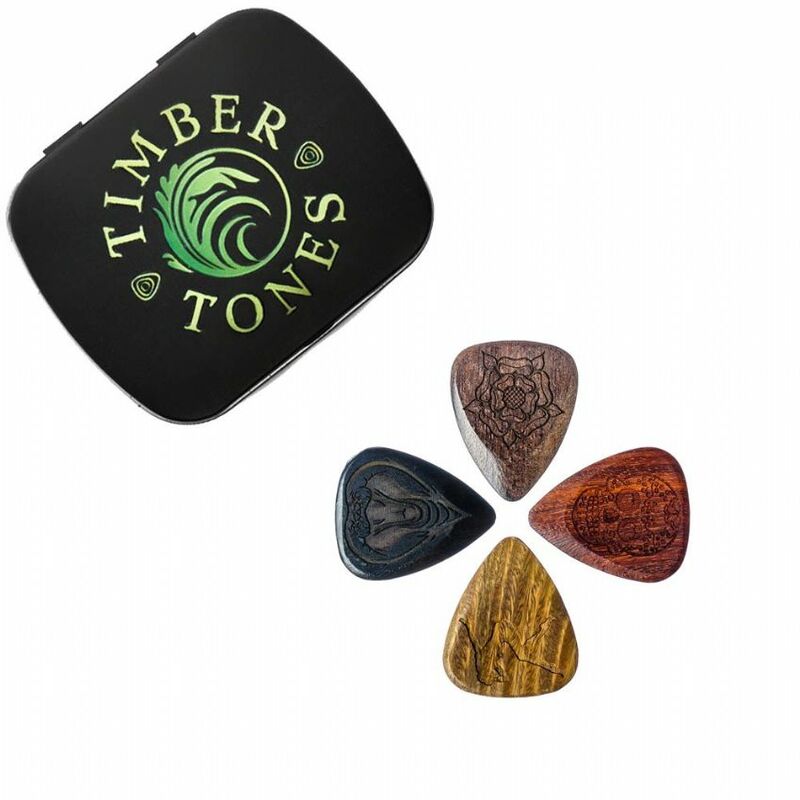 This tin contains 1 of each of the Tattoo Tones Guitar Pick.